1. Overall size is 860mm*420mm*10mm, easy to carry. 2. Over 45 minutes of flying time. Flying speed can be fast or slow (45-80km/h). 3. Customized arkbird lite, support all arkbird lite flight controller functions. 4. The flight controller supports fence mode, waypoint mode, assisted takeoff, automatic return, fixed height orientation, waypoint mode, etc. 5. Integrated dedicated arkbird 433 receiver. 6. With 5.8G image transmitter power 500MW. 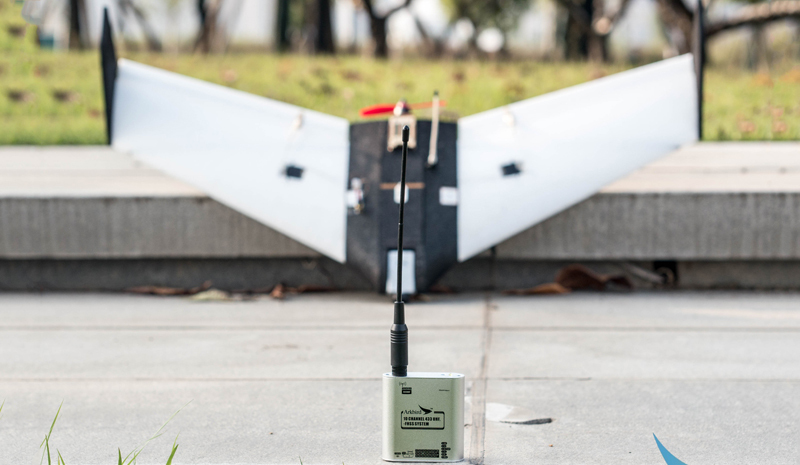 Using the original configuration can maintain 1.5km stable transmission, with arkbird 5.8G padding antenna or arkbird miniaat can achieve at least 5km stable transmission. 7. The whole machine adopts EPP material cutting and processing, and uses carbon fiber tubes to strengthen. It has high rigidity and is resistant . 8. Most of the assembly of the aircraft is completed at the factory. Some parameters have been adjusted. It takes only a small amount of time to complete the installation and commissioning. 9. With 433 transmitters, the device has high compatibility and compatible with almost all 6CH or above transmitters. Due to the use of analog image transmission, most of the receivers on the market can works with it.